The course catalog is now available for preview on the website. 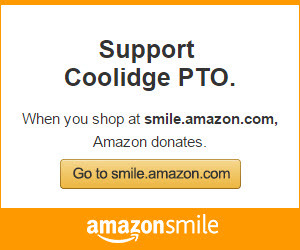 Your help is needed to keep the Coolidge PTO going! Every May elections are held for the PTO Executive Board: President, Vice President, Treasurer, and Secretary. If you are interested in becoming part of the board, or know of anyone that would be interested, please let us know! You can fill out this Google form to nominate someone (including yourself). We will not add someone’s name to the ballot without checking with them first. Anyone at the May PTO meeting can vote. You do not need to be at the PTO meeting to be on the ballot. You can find the PTO By-Laws here (they are in need of updating but it gives you an idea of what each position involves). Please contact the PTO (calvincoolidgepto@gmail.com) with any questions. The Annual Coolidge Spring Fling and Ice Cream Social is being held on Friday, April 26th from 5:30 pm – 7:30 pm at Oak Middle School. Thank you to all those that have contributed to the classroom raffle baskets for the Spring Fling. If you still have items/money that you would like to donate, please send it in ASAP! The deadline to purchase tickets to ATTEND the Spring Fling has passed. Please contact Katie Evans (kathleenhevans@gmail.com) ASAP to see if there are any open spots still available, if interested. This is a PRE-PAY event so you will NOT be able to purchase tickets to attend the night of the event! STEM Beginnings provides fun-filled and hands-on experiences that will enable them to learn and enjoy Science, Technology, Engineering, and Math concepts. They will engage in a variety of STEM challenges – from simple experiments, building challenges, team-based activities, and even fun games using different STEM toys! STEM is Fun! · This is a 6-class program intended for students ofCoolidge Elementary School from Grades K-4. Classes are conducted one hour per week for six weeks. · Registration is limited to 12 students each for the Grades K-1 and Grades 2-4 classes. Note: This program is sponsored by the Coolidge Elementary School PTO. The PTO will get a portion of the proceeds. You may also go to our website (www.stembeginnings.com) and click Online Registration. Select “Spring 2019” under Season and “Coolidge Elementary School”under Location.